Theatre of the Oppressed NYC, a nonprofit organization that empowers communities on the margins to reenact their struggles in the form of plays. After each performance, audiences are invited onstage to put themselves in the protagonists’ shoes and suggest creative answers to the problems dramatized in the show. 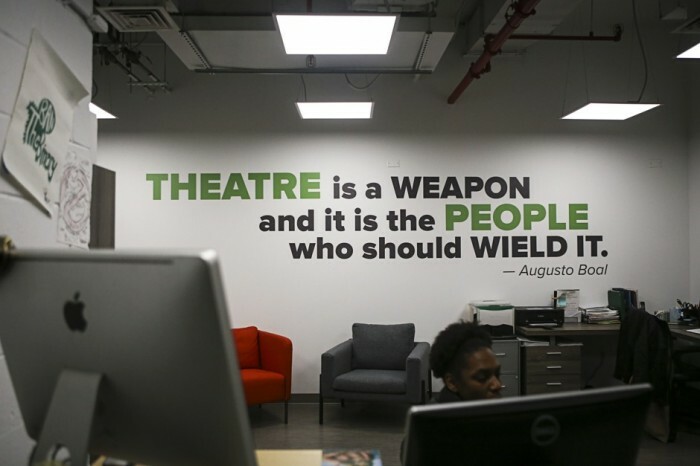 CityLab today published the amazing true story of how Theatre of the Oppressed NYC purchased a $3 million space in the heart of NYC’s Theater District for just $25,000. 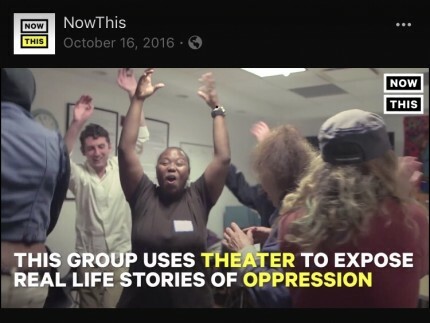 Check out this amazing video from NowThis on how Theatre of the Oppressed NYC is changing the world through the power of the theater. It’s been viewed more than 143,000 times! 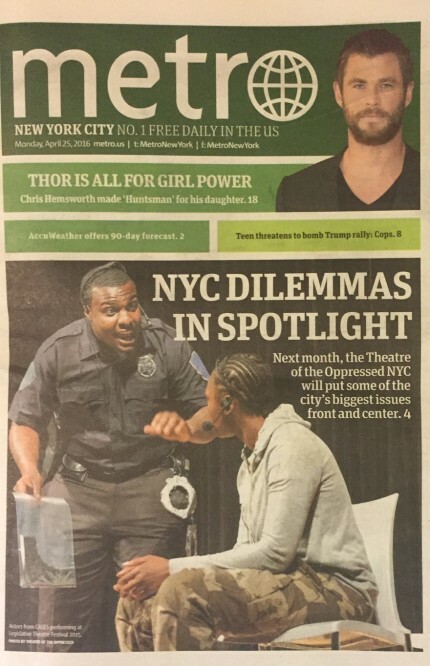 Theatre of the Oppressed NYC is the full front-page cover story in today’s Metro New York! Can Theater Spur Public Policy Changes? Can theater change minds or even public policy? 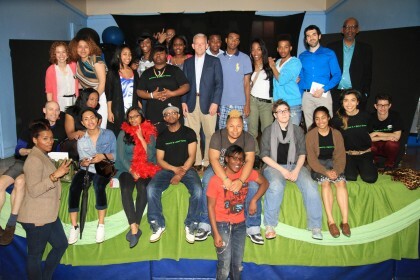 On May 18th, Theatre of the Oppressed NYC proved it just might be possible when it presented short plays performed by homeless LGBTQ youth that were based on the challenges they face living in New York City. 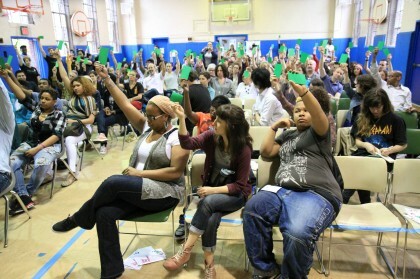 The youth were then joined by elected officials like New York City Council Member Jimmy Van Bramer and audience members to improv, act out, identify, and finally vote on possible policy solutions. The result was an experience that was entertaining, eye-opening, and potentially life-changing. PKPR secured preview features and post-festival reviews in both national and local media including The Huffington Post, Metro New York, Next Magazine, Gay City News, Edge New York, and New York Theatre.